German physician, mathematician, and Hebraist; born at Frankfort-on-the-Main toward the end of the seventeenth century; died there in 1769. 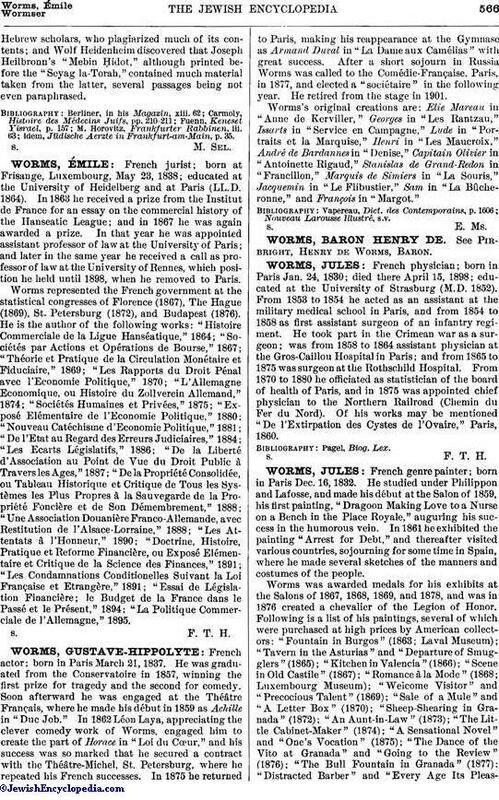 Worms was graduated as Ph.D. and M.D. 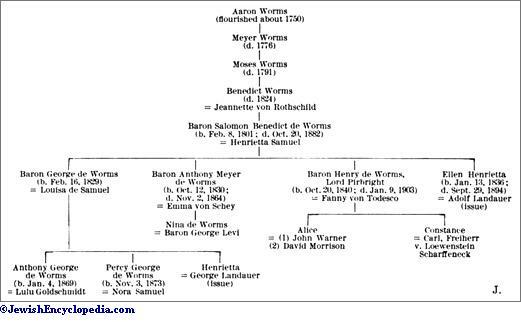 in 1723, and shortly afterward was appointed physician at the Jewish hospital of his native town, holding that position for more than forty-five years. Before graduating Worms published his "Mafteaḥ ha-Algebra ha-Ḥadashah" (Offenbach, 1722), a manual of algebra, with problems and their solutions. Four years later he published in Frankfort-on-the-Main a revised edition of the "Ma'adanne Melek," a chess manual (wrongly ascribed to Jedaiah Bedersi), adding to it a preface and a German poem. After graduation he occupied himself with mathematics, astronomy, natural history, philosophy, and music, the result of his studies being a number of unpublished scientific works, all of which are enumerated in his "Seyag la-Torah" (ib. 1766), a Masoretic commentary on the Pentateuch followed by a commentary on Saadia Bekor Shor's poem on the number of letters in the Bible. 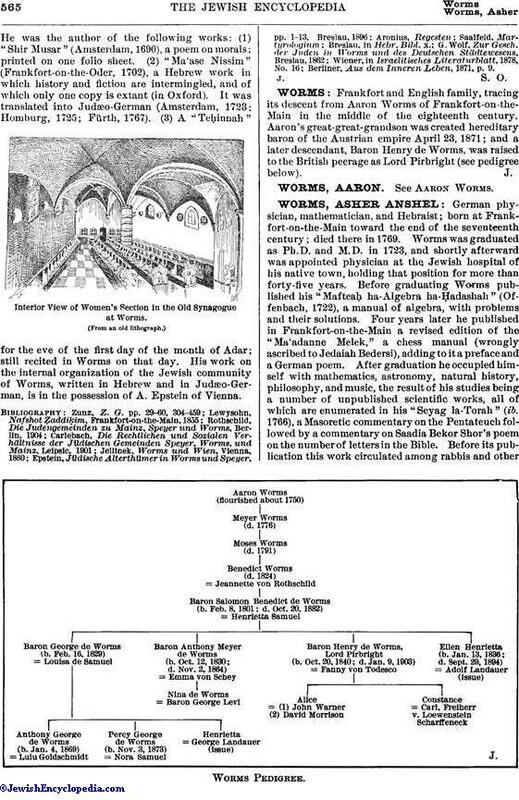 Before its publication this work circulated among rabbis and otherHebrew scholars, who plagiarized much of its contents; and Wolf Heidenheim discovered that Joseph Heilbronn's "Mebin Ḥidot," although printed before the "Seyag la-Torah," contained much material taken from the latter, several passages being not even paraphrased. idem, Jüdische Aerzte in Frankfurt-am-Main, p. 35.